A conventional preaheating phosphate-bonded and graphite-free investment for CoCr frameworks. 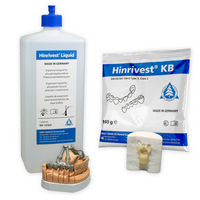 This proven phosphate-bonded, graphite-free investment asures a precise fit and smooth surface. A phosphate-bonded, graphite-free investment for CoCr frameworks specially developed for the speed heating technique. 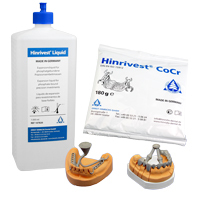 Suitable for casting all types of dental alloys. 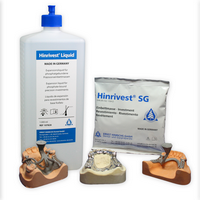 A speed casting universal investment for casting all types of precious and non-precious alloys in crown and bridge and combined techniques. 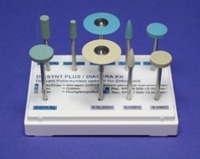 Also ideal for direct firing of pressable ceramics. 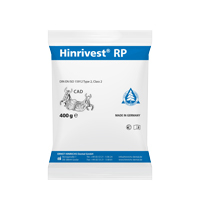 Ultra-fine grains, excellent accuracy and surface quality. 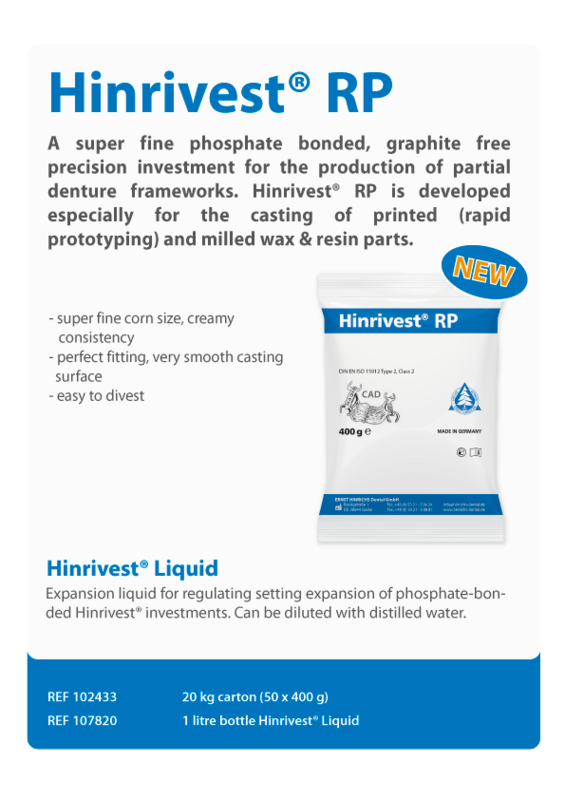 Expansion liquid for regulating setting expansion of phosphate-bonded Hinrivest® investments. 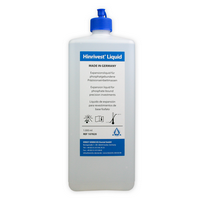 Can be diluted with distilled water. 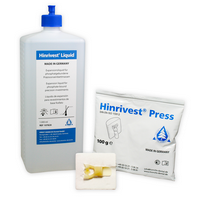 Special liquid contains a higher proportion of silica solution and other particles for higher expansion values. For fabricating CrCo telescopic work and also for other phosphate-bonded investments.